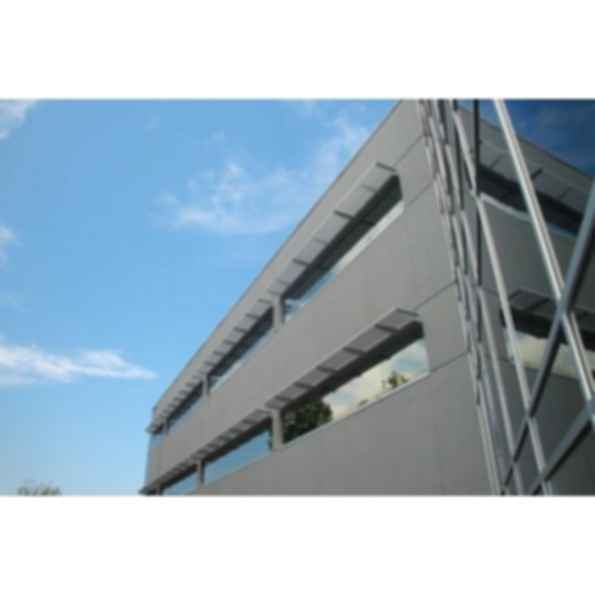 All Ametco® Galvanized Steel or Aluminum Bar Grille Sunshades are manufactured to order from steel or aluminum flat bar. The galvanized steel or aluminum flat bars are welded with a flat bar frame and mounted to outriggers for easy of installation. 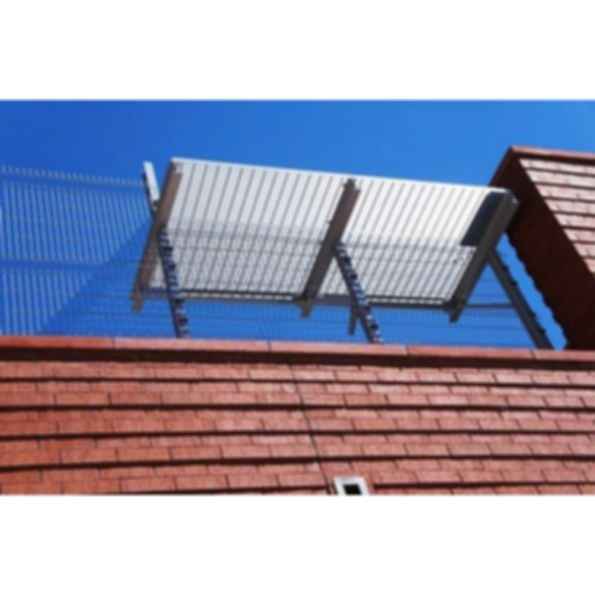 The Bar Grille Sunshade is recommended where supporting a live load. 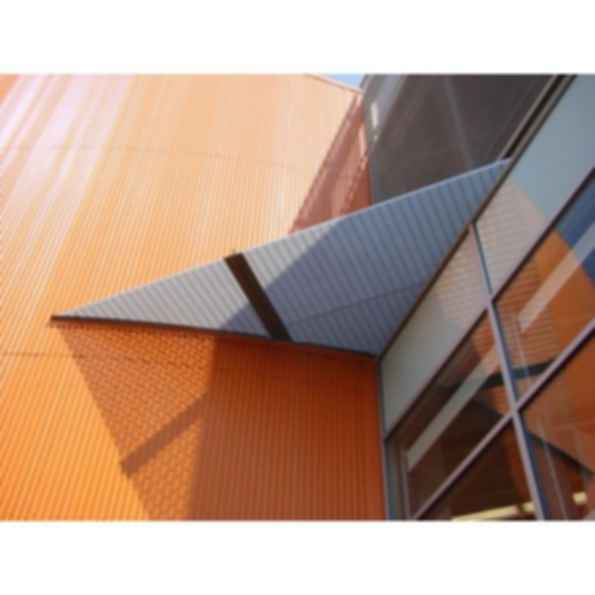 Most sunshades are horizontally mount above the window but Ametco® can also custom fabricate vertical sunshades to meet your requirements. Once an order is placed detail drawings of sunshade and outriggers are furnished for your approval before fabrication is started. 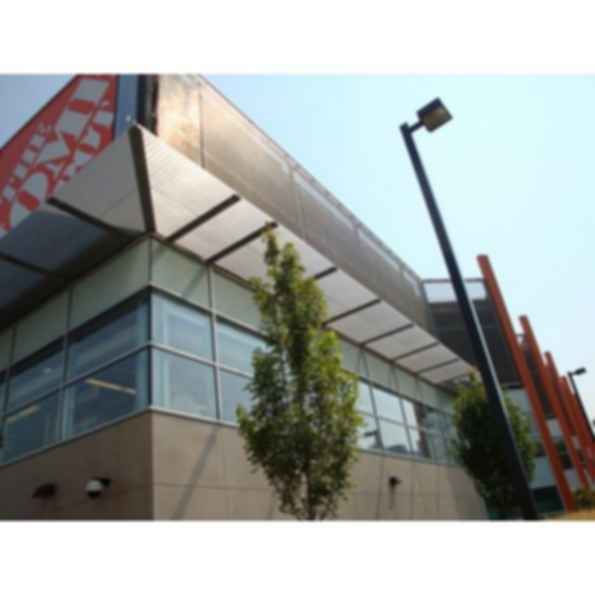 After fabrication the Sunshades are then powder coated to one of 15 standard colors or a custom color match for lasting beauty. 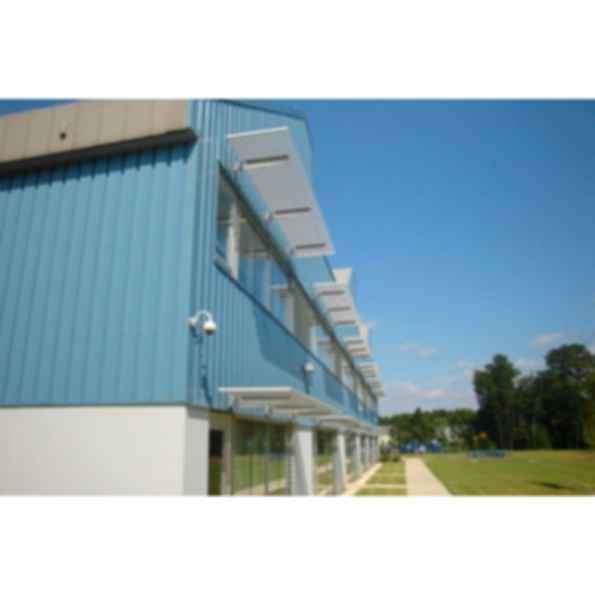 Ametco certifies that its Sunshades system is free from defects in material and workmanship. 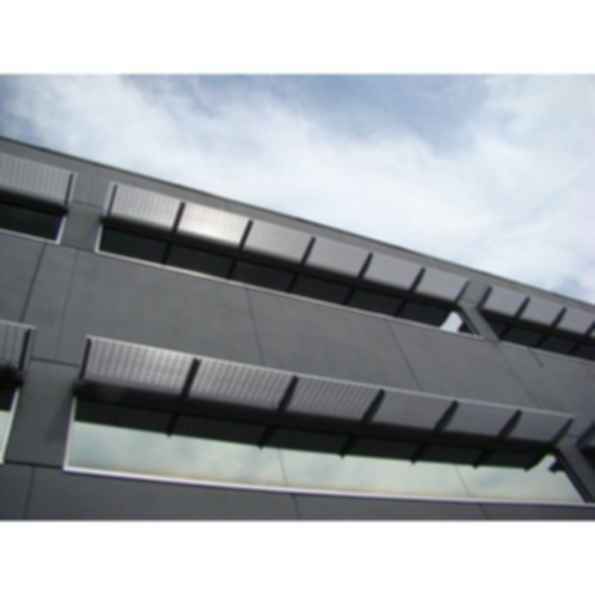 The polyester coated metal is guaranteed not to crack, peel or blister for a period of 20 years. 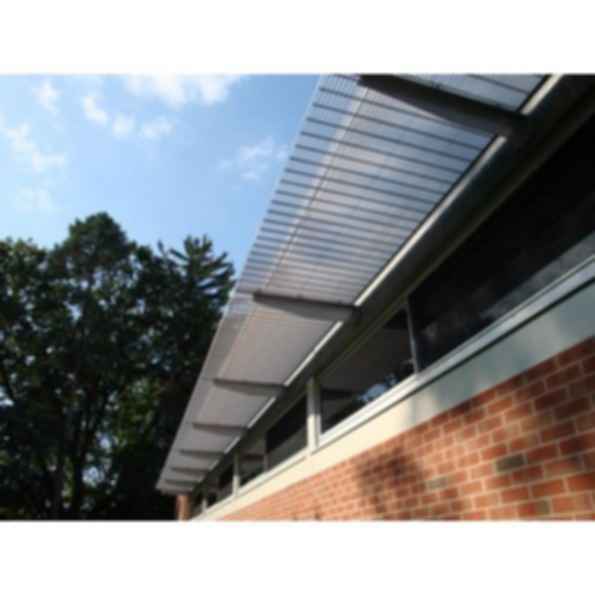 Bar Grille sunshades are designed with 2 x 3/16 inch bar on 1-3/16 inch centers to achieve 60 degrees incident angle of sun shade. Thanks for sending us the request, we will pass your request to the manufacturer and see if they have this product available in Revit file format.